Finding peace through relaxation was a major step for me in recovering from conversion disorder. To comprehend the relaxation concept, it took time. So many of us go through life thinking we are relaxing, but we’re only fooling ourselves. I include myself in this also. 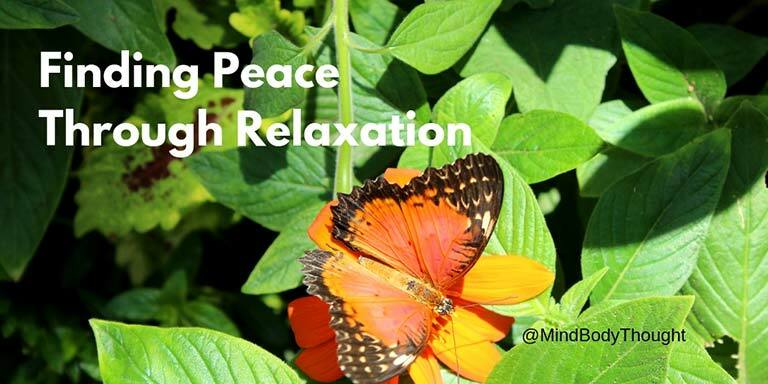 Of course, I can’t tell you the exact steps for you in finding peace through relaxation. What works for one person may not work for another. What works for me, might be the worst thing for you. All I know for certain is that we as modern day humans are lacking when it comes to relaxation. Right before the paralyzing conversion disorder that I talk about in my book, I was working 6 to 7 days a week. My day would start by leaving the house for my first client around 7 AM. Normally my day wouldn’t end until I was trying to return phone calls and catch up on paperwork while grabbing something to eat at 9 or 10 PM. It was no way to take care of myself, but the demands were relentless. Needless to say, learning to relax was not on my radar. Finding peace through relaxation was something those new age folks did, but it wasn’t for me. I just didn’t have time for it because there were too many tasks to be finished. As I worked myself into exhaustion, it finally caught up with me and took me, my body, and my mind to the point of no return. Until that point, I thought my once a week 30 minute walk was all the relaxation I needed. Even going out on a Friday or Saturday night with my friends felt like I knew how to relax. Boy was I wrong! 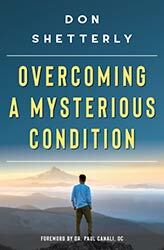 One experience I describe in my book, Overcoming A Mysterious Condition, really set me on the path to finding peace through relaxation. It was a slow process because at the beginning I did not know what to do. No one had taught me anything about how to relax. My dad’s idea of relaxation was cutting wood out in the bitter cold weather of an Iowa winter. Now I know that finding peace through relaxation isn’t something I do when I find the time for it. Instead, I make the time. It now has become a part of my life because I know just how important it is. One of the things that I’ve found through my own healing is that when we become more aware and conscious, we then have new choices to make. It becomes a point in time that we either make a choice in finding peace through relaxation, or we live in chaos. This quote is really what I mean when I stress how important it is in finding peace through relaxation. It is the center of finding calmness in spite of all the noise and troubles of our day. The deeper into the mind body you can travel to find peace and relaxation, the more you can find that center point of calmness. Right now, we are not living in peaceful times. However, if we work toward finding peace through relaxation, we will gain so much more from our day. If we fail to do this, we will live a life in chaos. Yes, we may get away with it right now, but sooner or later the chaos will build up stress. When the stress grows and intensifies, we will pay a price for it. Instead of chaos in life, work at finding peace through relaxation. Give your mind, body, and soul what it craves, rather than depriving it. If you aren’t sure if this makes sense, challenge it. Seek out ways to try it out until you can either experience this deep peace or you can honestly say, it isn’t for you. Remember, though, sooner or later the daily buildup of stress and chaos will catch up with us.